The words of Rabindranath Tagore are finding their way into my paintings. So far, I’ve created three mixed media paintings with a Tagore quote highlighted within the piece. I find his words wise and wonderful… and there will definitely be more of these paintings to come. In fact, I am in the process of creating the next one. Rabindranath Tagore was an Indian poet and writer, born in Calcutta in 1861. He has a huge body of work and I’ve only recently begun to explore the beauty of his writing. 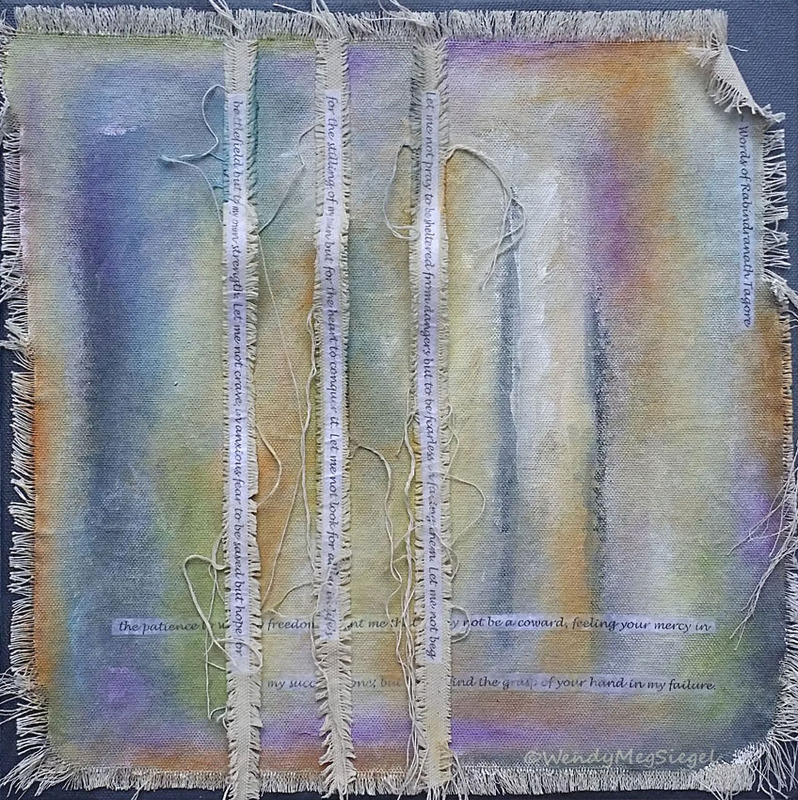 Inspired by the words of Tagore, I have begun to play with canvas, text, and paint in a textural way. Here are the three completed paintings, along with their respective quotes.